Many of us will remember rice pudding as a weekly dread on our school dinner menu and, depending on how it was served up may still not be prepared to eat it today. 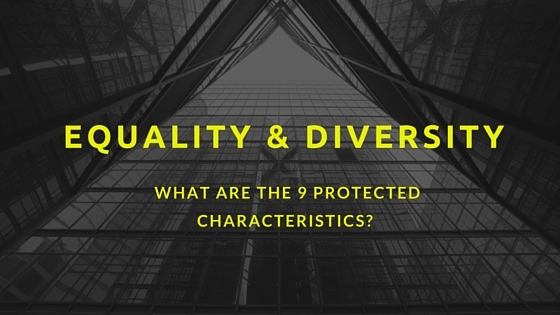 For some employees and management, attitudes to training in equality and diversity can follow the same approach – if they’re told to attend an uninspiring, lecture-based or online course merely as a tick-box exercise neither they nor their organisation will feel any real benefit. However, if the training offered is thought-provoking and interactive with plenty of time for discussion and consideration, delegates become engaged and confident which can bring about the fundamental behavioural changes that are needed to encourage an ethos of equality, diversity, dignity and respect. This not only results in positives for individuals but also for their organisation. It has been widely acknowledged that diversity in business leads to greater innovation, better opportunities for everyone, a wider talent pool and improved business performance. According to PwC’s 18th Annual Global CEO Survey (2015), 85% of CEO’s who have a diversity and inclusive strategy say that it has enhanced performance. So, yes, training must include our legal responsibilities but discussing how they play out in reality with real life scenarios engages participants and will provide them with the confidence and understanding to help create an inclusive workplace. A team successfully completes a project after working to a tight deadline. The manager books a private room and invites them all for drinks and nibbles on Friday after work. Everyone attends apart from Jonathan. The manager thinks him rude for not giving his apologies and decides he’s obviously not a team player. Jonathan’s colleagues assume he’s not interested in socialising with them and that he’s a bit of a loner as he never joins them when they go for an after-work drink on a Friday. Jonathan is dreading going to work on Monday. He’s an Orthodox Jew but didn’t want to explain that Friday night was his Sabbath to his boss or his work colleagues because he wasn’t sure how they would respond, and rather than give another excuse thought it was best just not to turn up. Equality and diversity has many strands and affects each one of us. It needs time, discussion and understanding before it will be fully integrated into the workplace. Find out more about our one day training course in equality and diversity here.